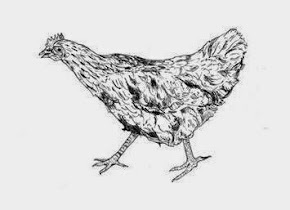 I aspire to start each week with a vow to eat a healthy cuisine to pay for the gastronomic sins gathered during the preceding weekend, were I bathed my food in butter and salt and cream and all those delightful pleasures. But all those good delights have been labelled unhealthy (Though I do sometimes doubt these claims) so during the working week I try to compensate by eating a more politically correct foods. I think this Icelandic rainbow trout meets these aspirations. As I live in south Sweden getting our hands on good quality fish is an expensive venture. Buying fresh fish is both costly and sometimes the quality is questionable at least compared to my homeland, Iceland, were fresh fish is in abundance and of usually of superb quality. So I have become reliant on travelling fishmongers that sell frozen fish from trucks they drive around the neighbourhood. But I was in luck last year of procuring frozen Icelandic fish from a country(wo)man of mine who lives in Malmö and delivers fish to our door - if you live nearby, check out - www.galleryfisk.se. This is a truly simple dish. First brush the fish, about 800 gr or so, with good extra virgin olive oil, season with salt & pepper. Then crumble 70 gr of feta cheese over the fish. Add a dash of syrup, maple or agave, and then a handful of capers that you spread over the fish fillets. Preheat the oven to 275 degrees (Celsius) with the grill on full whack. Don't take your eyes of the fish - as thin fillets cook quickly! Place in the centre of the oven, and grill for a few minutes. Mine took no more than 7 minutes to be cooked to perfection. With the meal we enjoyed some white wine from Italy. Leonardo Trebbiano. This particular wine originates from the countryside near to the town of Empoli, which lies between Florence and Pisa. This producer is a collective from the crops from over 150 farmers than manufacture a few varieties of wine. This is a wine made from 100% Trebbiano grapes. It is pale in the glass, hints of lemon. Rather dry, lemony and apple tones. Lightly acidic. Balanced finish. Suited the meal! I also served this humble couscous salad. First prepare the couscous as described on the packet. I then fried half a red pepper, half a yellow pepper, half a red onion and two cloves of minced garlic in a tablespoon of oil until the vegetables softened up. Stir into the couscous and season with some salt & pepper. A few green leaves were also placed on the plate! I also made some sauce creme fraiche. 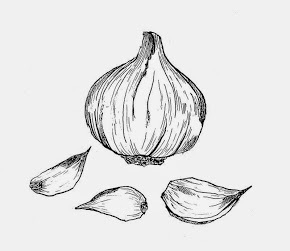 100 ml of light creme fraiche was put in a bowl, half a minced clove of garlic, teaspoon of syrup, juice of 1/2 lemon, salt&pepper. 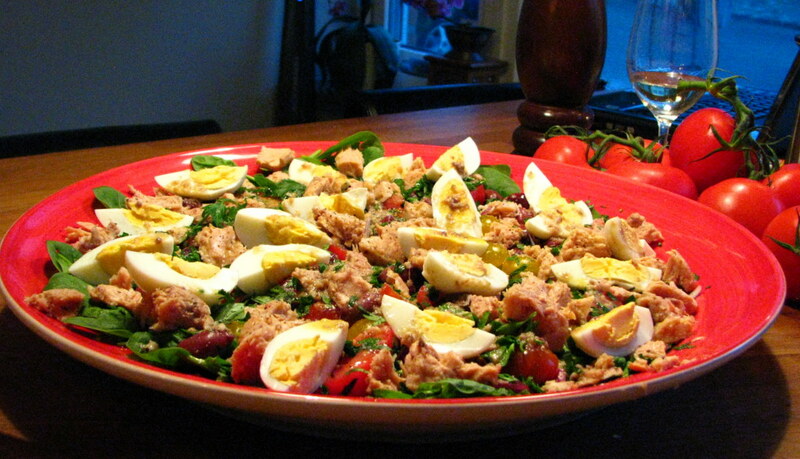 Salad nicoise - ready for the picking! 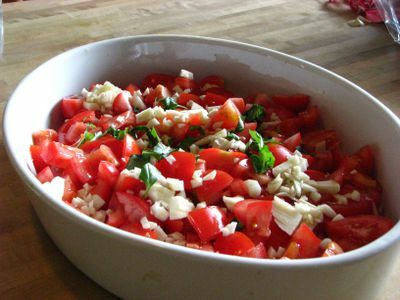 This salad has its origins in France, in Nice to be more exact, which rests by the Mediterranean. This is a particularly tasty and rich salad, so tasty is it, that we have made it a number of times since we first came across the recipe. 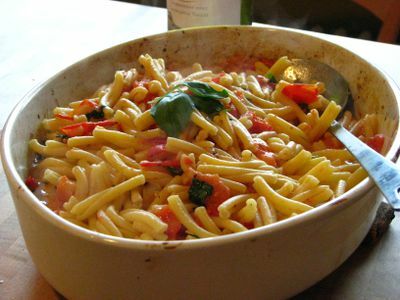 It is an ideal summer dish, perfected by the company of a cold glass of white wine, but it doesn't seem to be any worse come autumn when night arrives sooner and cold winds speak louder. 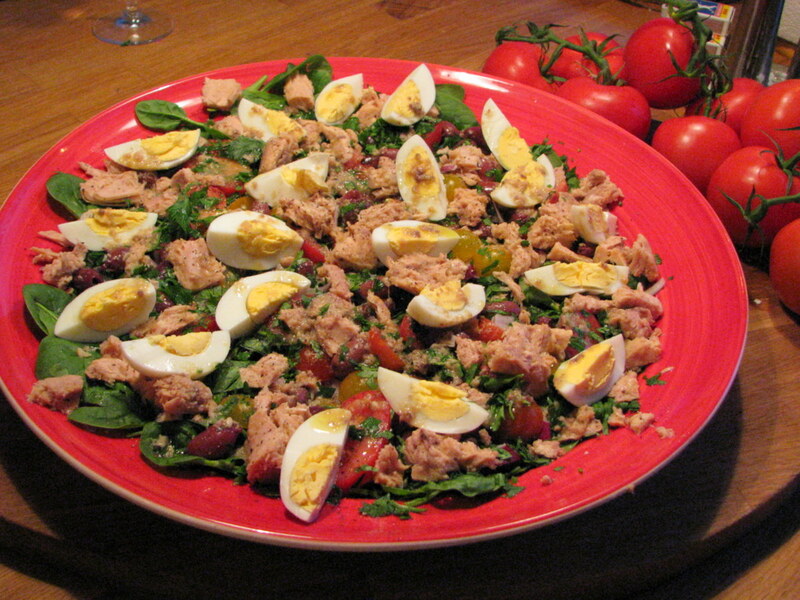 Of course there are a few varieties of the salad, though most similar, and all include vegetables, tuna, olives, boiled eggs and of course anchovies. Hold on ... don't stop reading! Anchovies have for some strange reason been expelled from many a kitchens. For no good reason at all! Anchovies stored in good oil are a delightful addition to a multitude of dishes. Why use anchovies? Well, because they are flavor enhancers. They lift up the dish and the ingredients used for it and interestingly - do not add a fish taste. So you could claim that anchovies are the natural third spice! Thais for example use fish sauce, Nam Pla, for precisely the same purpose! Writing down a recipe for a salad feels a tad silly. 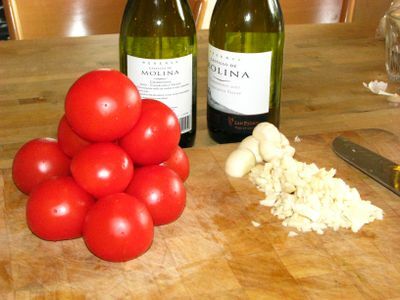 It is so easy and requires hardly any cooking - apart from boiling the eggs and opening the can of tuna. The salad is so tasty it deserves a few photos from diffirent angles! First, distribute some greens on a plate, spinach or some other leaf vegetable. 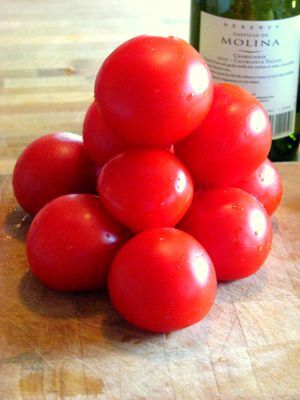 Then sliced tomatoes, few slices of boiled potatoes. Lots of kalamata olives and a handful of capers. Next, 250 gr of quality canned tuna - and I layered sliced boiled eggs in between the tuna chunks. Season and scatter chopped fresh parsley over the lot. Finally, I drizzled a bit of vinaigrette over, which was made in the following way: 2-3 tablespoons of extra virgin olive oil, 1 teaspoon dijon, a few pieces of minced anchovies, and even a little bit of the anchovy oil, dash of red wine vinegar, salt and pepper, and half a finely chopped shalott onion. Mixed thoroughly and drizzled over the salad. A cooled, good quality Chablis makes a perfect company to this dish! 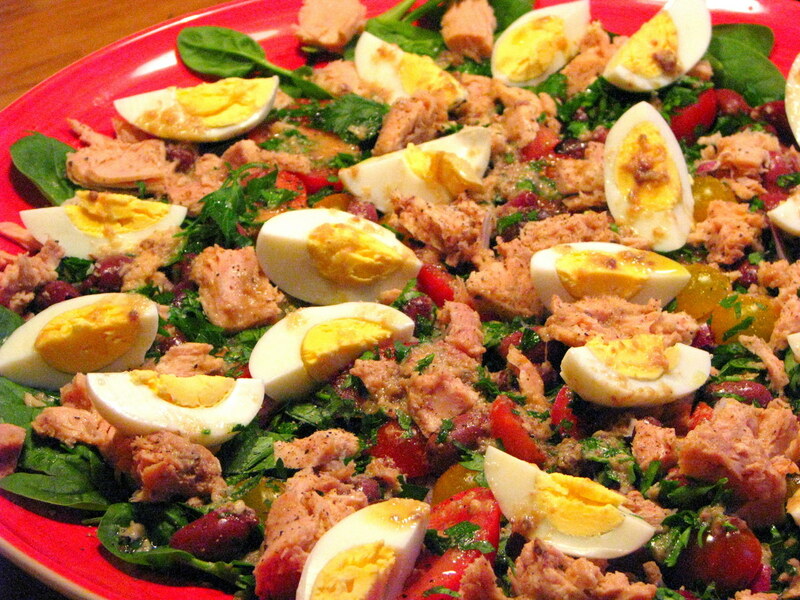 A close up of the best salad in the World - Salad Nicoise!